Looking back on the way things used to be. Here is a new country song from a promising new artist. 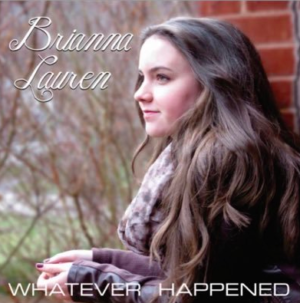 Her name is Brianna Lauren and she has the kind of sound that would fit well on country radio. It’s got a few different elements that kind of make it unique while still sounding comfortable. Check this one out and see what you think. I really like the music on this one. It has a really good groove that seems like it would fit well on the radio. It’s something you can kind of turn on when you’re cruising in the car or hanging out in the kitchen on the weekend. It’s just got a cool, mid-tempo kind of groove. The lyrics seem to be about longing. I’ve been listening to them a few times through and it seems like it’s a little bit about life and maybe a little bit about a boy? But I can’t tell for sure. It could be about a few different situations and that’s always good for a song. It gives the audience a chance to kind of interpret it in their own way. And it’s all kind of wrapped up in some good melodies. The more times I play this one through the more I find myself kind of singing along with the chorus. It’s pretty catchy. I like this song and I think Brianna has a good voice and is showing some real potential. I don’t know how much attention this song will get, but I think country fans will like it. Where are all the positive comments? This girl is really good!